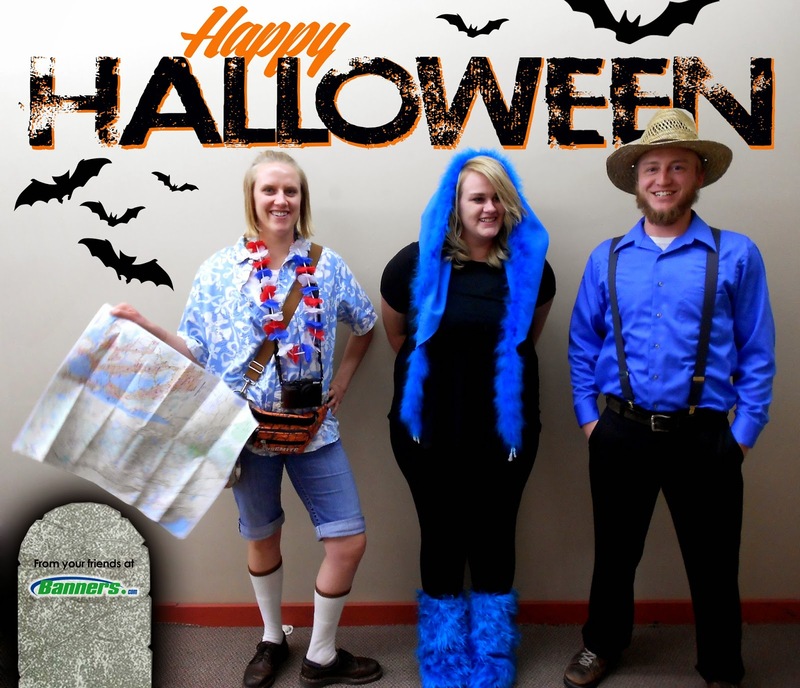 We'd like to wish everyone a happy & safe Halloween! 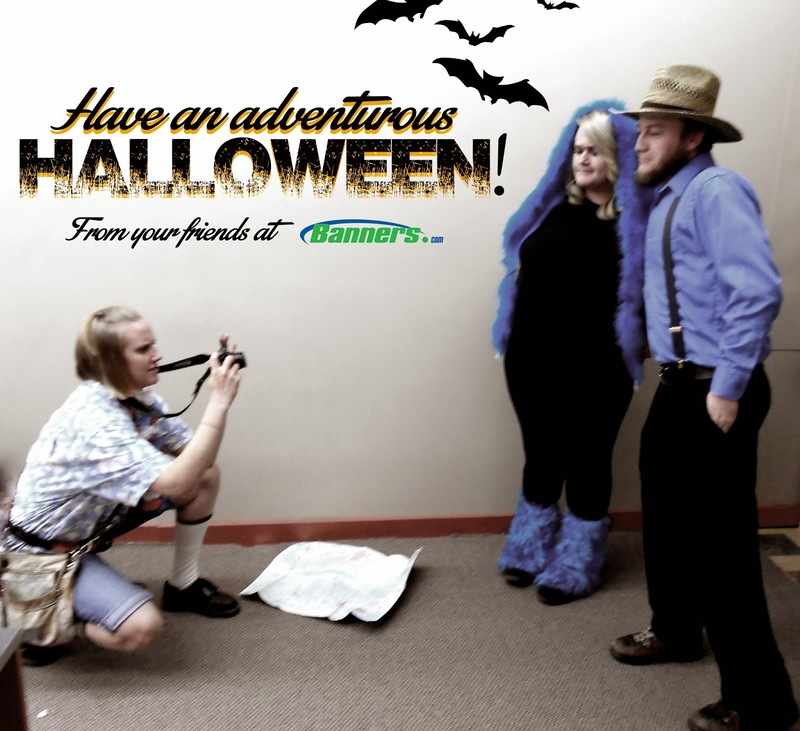 Here are some of the Banners.com employees that dressed up for Halloween this year. The Tourist, Babe the Big Blue Ox, and an Amish Farmer. 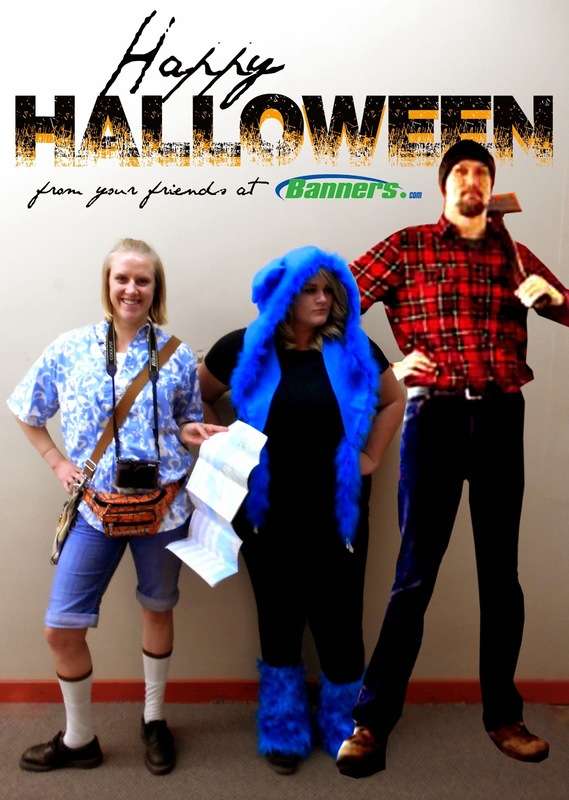 The Tourist, Babe the Big Blue Ox, and Paul Bunyan.